Only one player has been signed by Liverpool on a permanent transfer in January during Jurgen Klopp‘s reign – is the manger’s approach to the winter window for the best? Abel Xavier, Mauricio Pellegrino, Fernando Morientes, Scott Carson, Jan Kromkamp, Daniel Agger, Robbie Fowler, Alvaro Arbeloa, Martin Skrtel, Maxi Rodriguez, Luis Suarez, Andy Carroll, Joao Carlos Teixeira, Daniel Sturridge, Philippe Coutinho, Virgil van Dijk. Sixteen January transfer windows, sixteen January signings. It’d be 17 if Javier Mascherano’s acquirement hadn’t been more complicated than a divorce from the European Union—and it doesn’t include the likes of Paul Anderson, David Martin and Astrit Astronaughtovic (or whatever his name was)—but even so, it’s an interesting collection of players. FIFA formally introduced the January transfer window in 2002/03—a season when Liverpool were seven points clear at the top of the Premier League after 12 matches before failing to win any of the next 11—to stop big clubs from wrecking smaller clubs’ seasons by purchasing their players whenever they wanted to. It was a good decision, as if Chelsea could sign players every day they’d now have 361 of them out on loan while ITK Twitter accounts would have more followers than Scientology, a religion that’s about as believable as most of them are. The knock-on effect has made January signings more expensive, as struggling clubs tend to make panic buys, and seen an upsurge in sales of yellow ties in Jim White’s local M&S, folks. 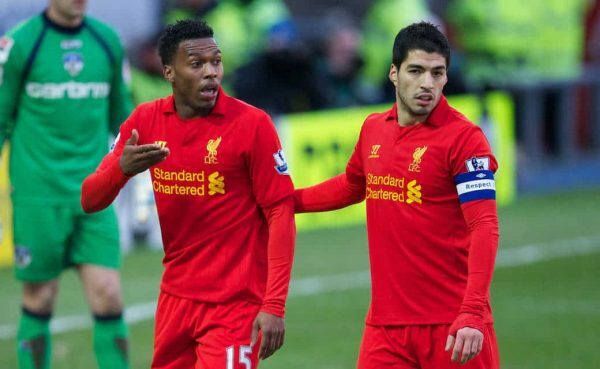 For Liverpool—as a buying club—the January transfer window has changed significantly. Fifteen of the 16 players listed above were bought in the first 11 January transfer windows between 2003 and 2013. Since then, and under Jurgen Klopp’s management, only one has arrived on a permanent basis—Virgil van Dijk last year—and that was only because Southampton threw their anchor out of the boat the previous summer when the Reds tried to sign another one of their players. It suggests that if you’ve spent most of the month reading click-generating stories about players Liverpool might sign this January you’ve been wasting your time, as FSG use this window less than John W. Henry uses Twitter, but it doesn’t answer a valid question: should they be? The case against says that Liverpool are top of the Premier League with a record haul of points, so why on earth do they need to strengthen? 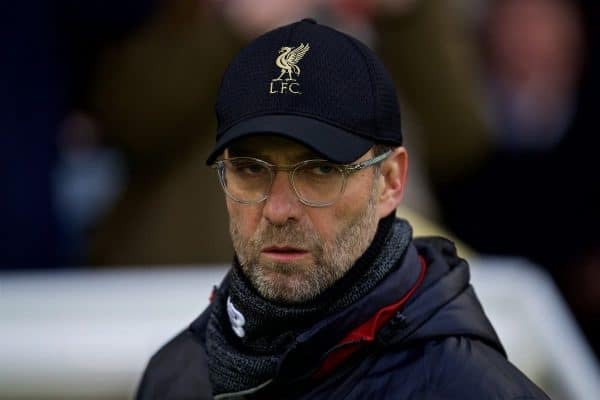 The case for says that Liverpool are top of the Premier League with a record haul of points but their results away from home in the Champions League and in both domestic cup competitions suggest the squad still needs reinforcements. Which view is right? I can see both sides, but perhaps the answer lies in the above list of January arrivals and the impacts they made. 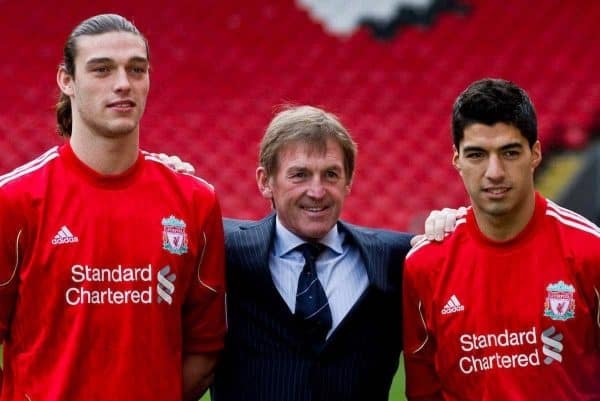 While only three of the above players appeared in trophy-winning finals for Liverpool that same season—Jan Kromkamp (FA Cup 2006) and Luis Suarez/Andy Carroll (League Cup 2012)—others helped to put Liverpool in trophy-winning positions. 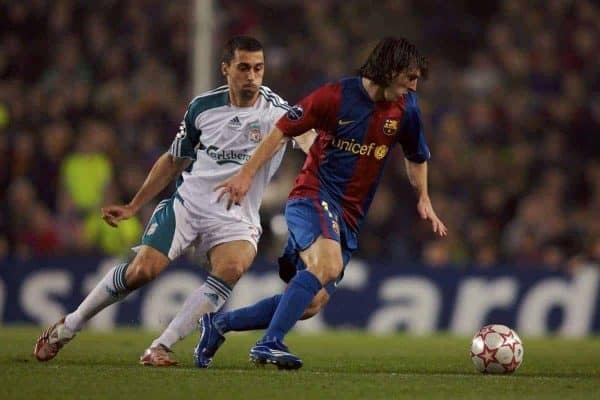 Alvaro Arbeloa was excellent as Liverpool reached the 2007 Champions League final—as was Van Dijk en route to Kyiv—and it gets forgotten that Mauricio Pellegrino was used in Premier League games in 2005 so Sami Hyypia could be rested ahead of Champions League matches. A teenage Scott Carson also stood in for Jerzy Dudek at home to Juventus that season and although he made a goal-costing error, he also made a vital save. The contribution Suarez and Carroll made in the Reds’ run to the 2012 FA Cup final can’t be ignored either and while Big Andy’s £35 million transfer fee will always be derided, ask any Evertonian how much they’d pay to beat Liverpool in a Wembley semi-final. When you then factor in the contributions made by Agger, Skrtel, Maxi, Sturridge and Coutinho in subsequent seasons I’d say Liverpool have a pretty good record in the January transfer window, which makes me think FSG and Klopp could be missing a trick in 2019. We’re not playing Football Manager here—you can’t have a squad of 30 top-class players and expect them all to be happy—but I’d like to see a versatile, experienced defender added to the squad before the transfer window closes. Someone capable of operating centrally or at full-back would mean neither James Milner or Fabinho have to drop back into positions they’re less comfortable in and would mean we’re all bricking it a bit less every time Van Dijk feels a twinge. I can’t see it happening: Klopp has said he doesn’t need to sign a defender nor anyone else for that matter. But if more defensive injuries kick in during the coming months and ultimately derail Liverpool’s title bid, the failure to strengthen in January will be viewed as a major negative, especially given Nathaniel Clyne’s increasingly strange-looking loan move to Bournemouth.